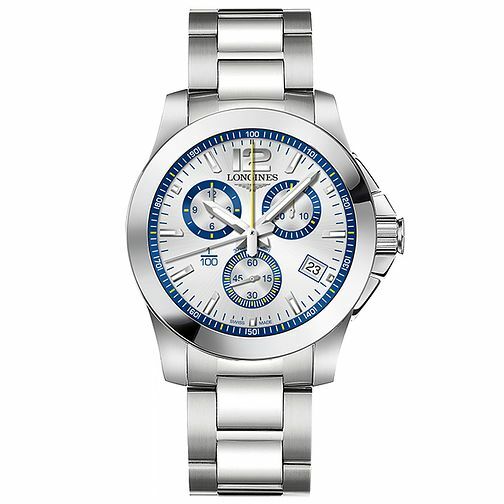 Longines men's stainless steel bracelet watch featuring large round chronograph dial with white tipped hour markers. Three blue sub dials and date window add a contrast to this stylish watch. A stylish design ideal for everyday style.